Coolest, Wettest, Circus Slide around! The Perfect way to stay cool. 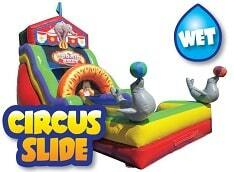 This waterslide works great for Carnival or Circus themed events! Have a thrill-filled day and keeps the kids slipping and sliding all day long. Adults too! 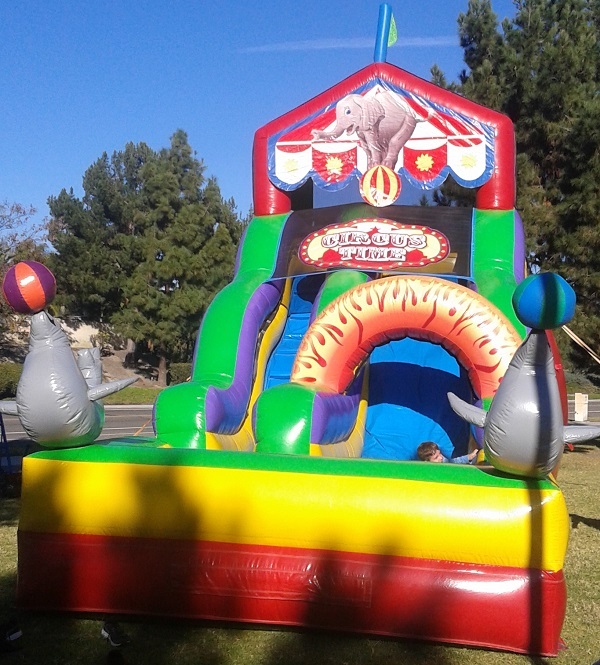 Our Circus Waterslide features four circus animals and fun bright colors. Two large gray seals with colorful beach balls balanced on their noses welcome your guests to the ‘greatest slide on Earth! Riders climb up to the colorful ‘big top’ then slide down the cool, wet slide to the splash pad at the bottom! Looking for the dry version of this slide? Check out our Dry Circus Slide!